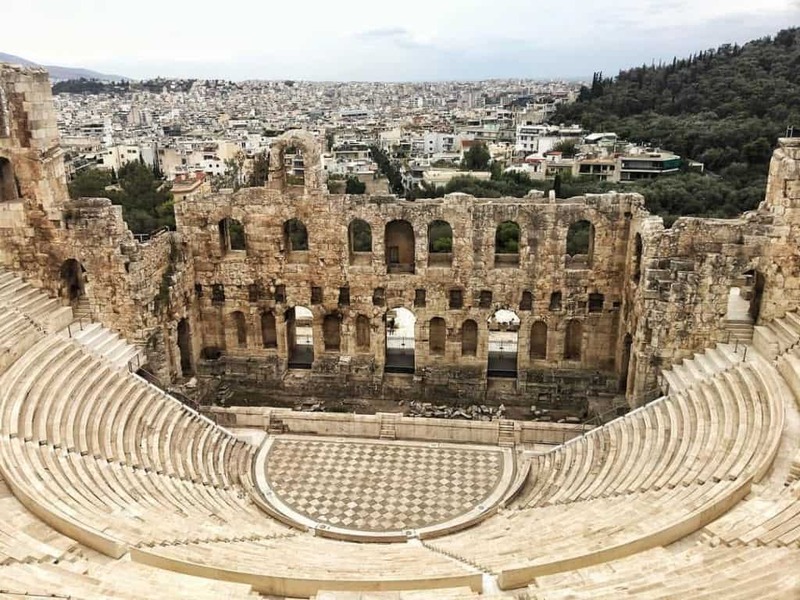 Athens or Thessaloniki: Which Mainland Greece City is Right For You? 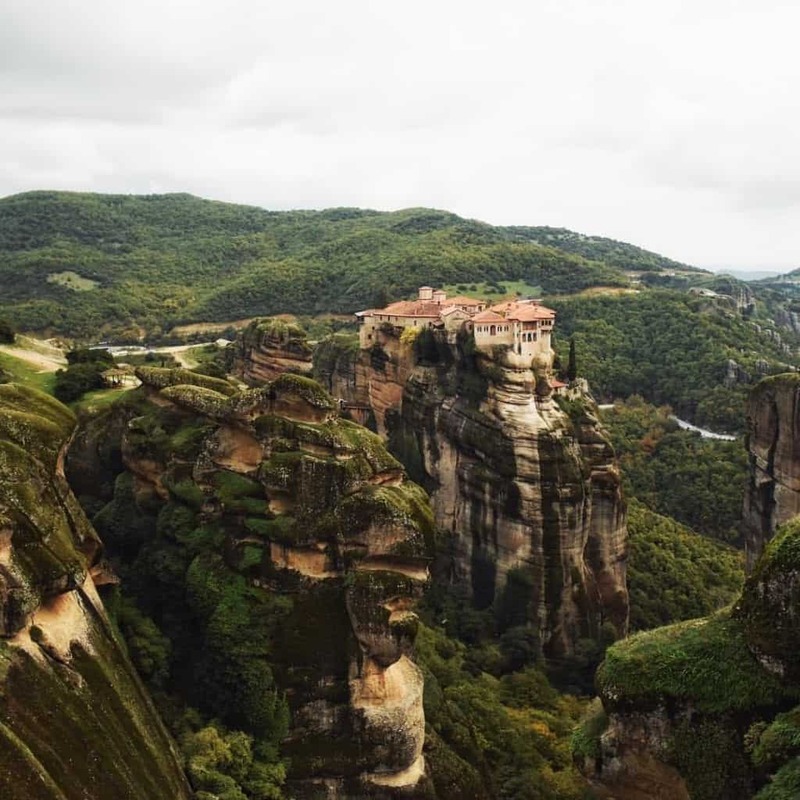 If you’re trying to plan a trip to Mainland Greece, you’re probably torn between having to choose between Athens or Thessaloniki. These are two of Greece’s largest cities, and both have a lot to offer in terms of culture and history. 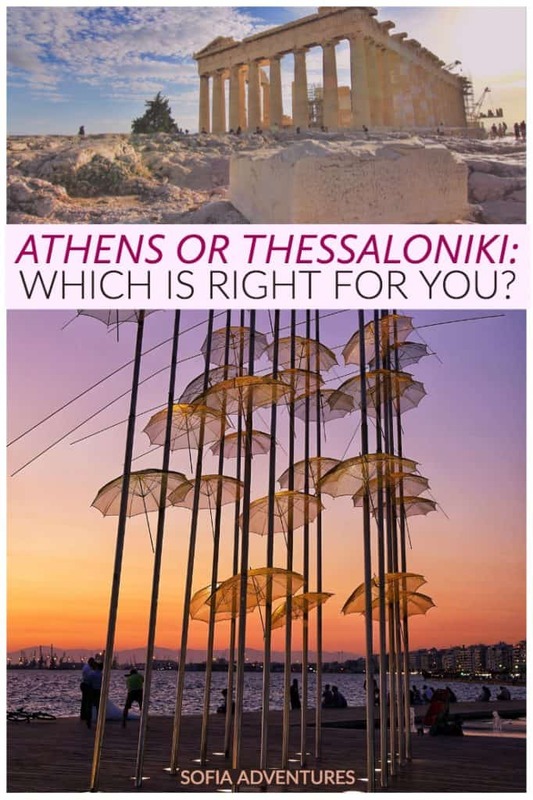 That said, there are some key differences between Thessaloniki and Athens, so if you are trying to pick just one, we’re going to break down the reasons why you should pick one over the other. And now, time for the head to head smackdown: Athens vs Thessaloniki. Which should you choose? While sure, Thessaloniki has its share of historical monuments of importance – the White Tower, the Agora, and many historic mosques, hammams, and churches – nothing can truly beat the Acropolis when it comes to history. On just one hill in the middle of Athens, you can see several important sites in a single day at the Acropolis. 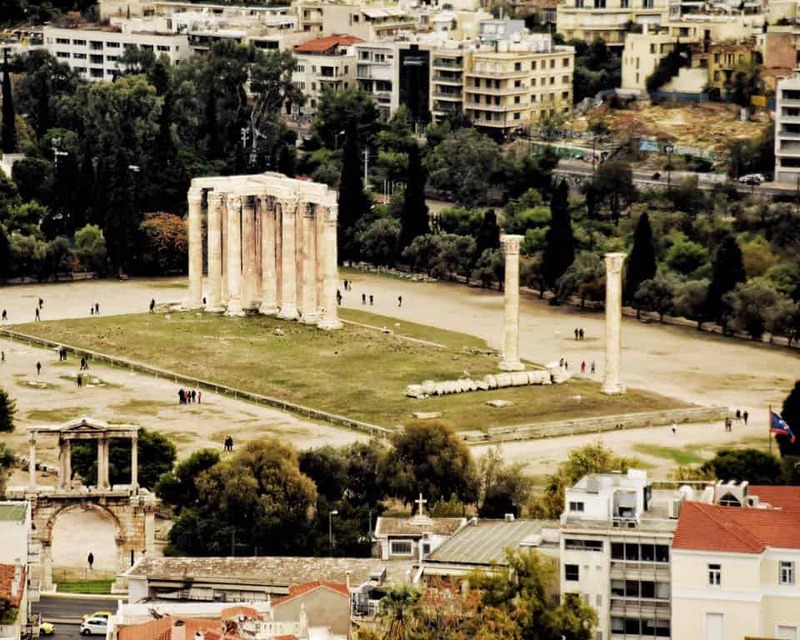 In one day, you can easily tour the Parthenon, ‎the Erechtheion, the ‎Temple of Athena Nike, and the ‎Propylaea. That’s not to mention several other important ruins and archaeological wonders scattered throughout the city, such as Hadrian’s Arch, the ancient Agora, and the Temple of Olympian Zeus. If you like visiting UNESCO World Heritage Sites, then Athens is perfect for you! It is quite easy to visit a number of UNESCO sites on a day trip from Athens. Stephanie managed to visit six while based out of Athens! There is, of course, the Acropolis in Athens itself, which is unmissable if you visit Athens. But there are also several other important UNESCO sites you can visit easily while based out of Athens. Other UNESCO sites accessible within a day trip from Athens include the Archaeological Site of Delphi, the Sanctuary of Asklepios at Epidaurus, Mycenae & Tiryns, the Monasteries of Chios, and Meteora. While Thessaloniki is close to beaches of its own (more on that later! ), Athens is way better connected to the islands. Therefore, if you’re planning a Greek island hopping trip by ferry, you’re going to want to start in Athens as it is much better connected to the islands. Thessaloniki has a few ferries – to Limnos and the Northern Sporades cluster which includes Skopelos, Alonissos, and Skiathos – but they take a long time and there are very limited options. 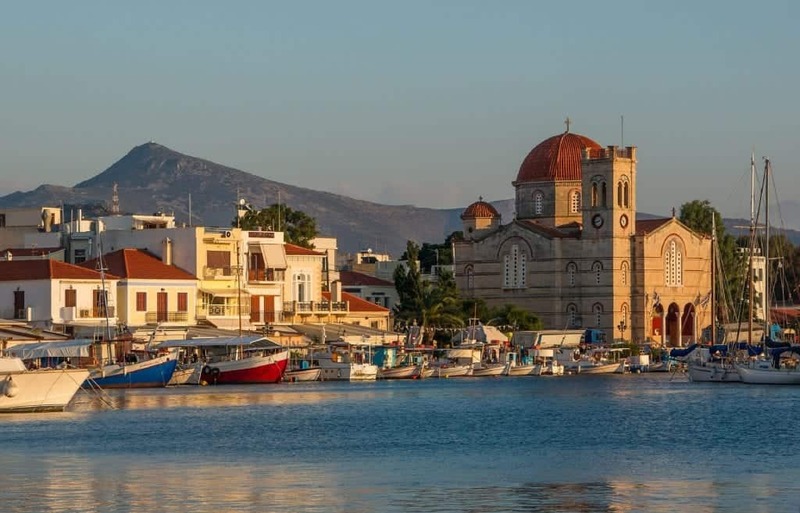 Meanwhile, Athens will connect you easily to dozens of islands, the nearest (Aegina) a mere 40 minutes away. You can do a day trip to three of the islands nearest to Athens, or you can use Athens as a jumping-off point to further away islands such as Santorini, Mykonos, and Crete or more offbeat island choices. However, if you plan to fly (which can be cheaper than ferries, by the way) both Athens and Thessaloniki have good connections to the islands. While Thessaloniki has some nice views, it certainly can’t top Athens when it comes to cityscapes. 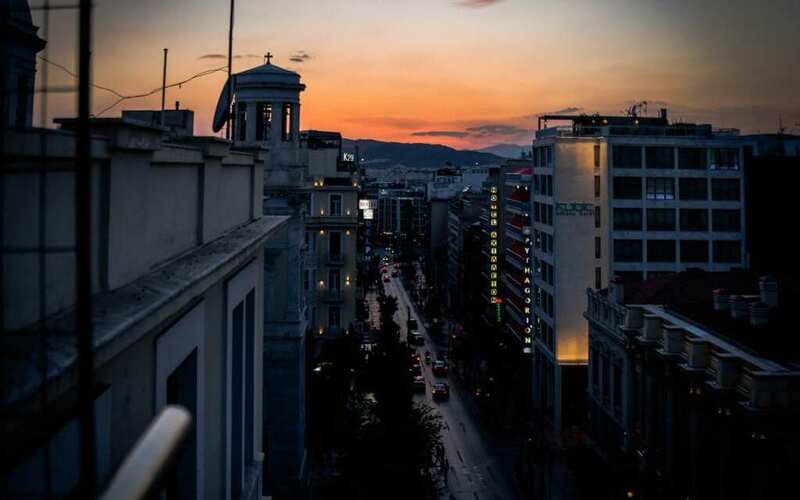 Athens has no shortage of amazing rooftop bars where you can get gorgeous views of the city. 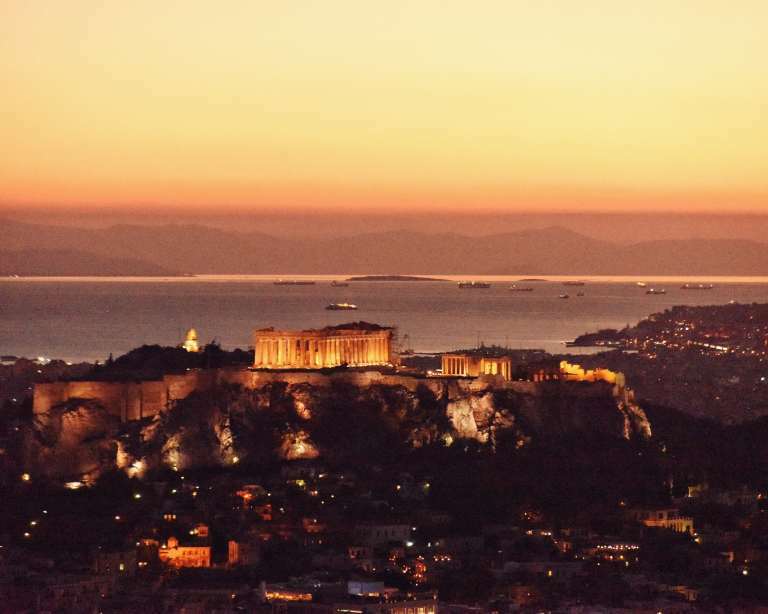 Believe me, there is nothing quite like staring at the Acropolis all lit up and glittering at night or bathing in the afternoon glow as the sun starts to set. Another great place for a cityscape is atop Mount Lycabettus, where you can take a taxi and then walk up (many) stairs or take the funicular up to the top, where there is a quaint church as well as some of the most jaw-dropping sunset views of Athens. You can also dine in the restaurants here: there are two options, one quite pricy and the other more affordable. The more affordable restaurant is of decent quality but nothing spectacular – you are definitely paying for the view! Thessaloniki is the second largest city in Greece, so it is far from being a “hidden gem,” but that said, it doesn’t get even a fraction of the tourism of other places in Greece. Most visitors to Greece tend to just visit Athens and then a handful of islands. By visiting Thessaloniki, you’ll see a very different part of mainland Greece, one that is heavily skewed towards locals than tourists. Thessaloniki is a city dominated by young people, as the largest university in Greece – the Aristotle University of Thessaloniki – is there. 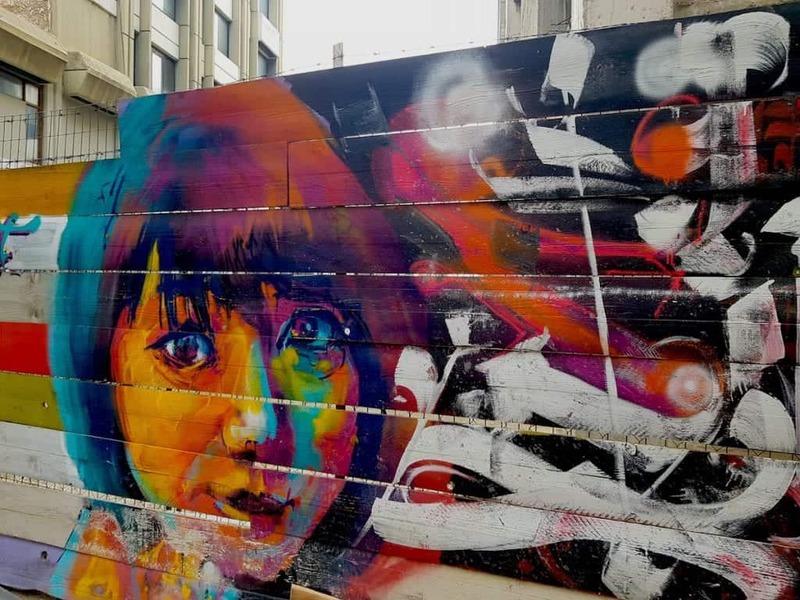 As a result, it has a really unique hip vibe to it, that makes it a great destination for offbeat city breaks. While it doesn’t have the same attractions that Athens has, that’s what keeps it quieter than other vacation destinations in Greece that get slammed with tourism in the summer. Check out the neighborhoods of Ladadika for the best coffee shops, buzzy restaurants, and chic boutiques, or head up the hill to Ano Poli for a unique neighborhood filled with street art and cozy tavernas. If you’re planning a longer trip throughout the Balkans as a region, and you can only pick one Greek city, pick Thessaloniki over Athens. 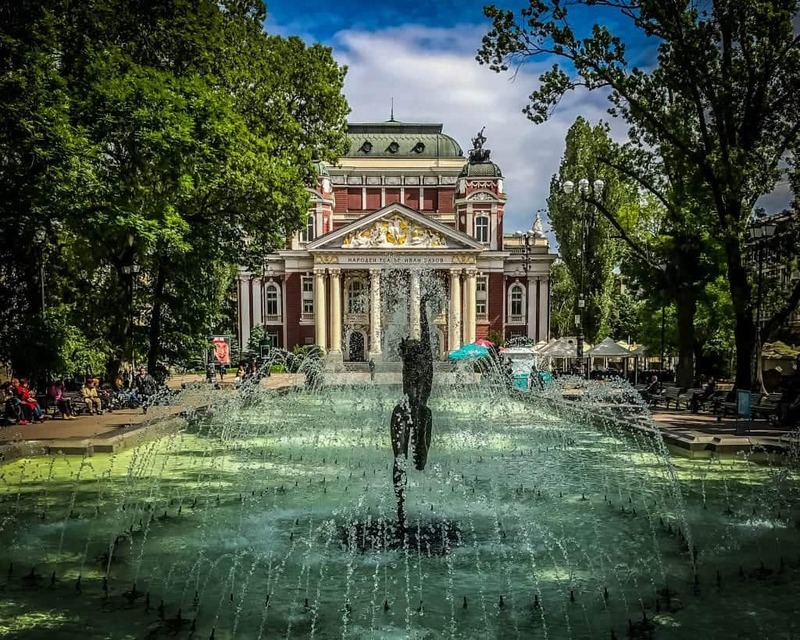 It’s much closer to other Balkan cities such as Skopje and Sofia so you’ll spend less time on a bus. It’s also a city that requires less time than Athens, so if you’re short on time, Thessaloniki is easier to discover in a few days whereas Athens can easily take at least a week to do justice. Thessaloniki also has a much more Balkan vibe to it than Athens, in my opinion. If you’re after that offbeat Balkan experience, you’ll certainly get it a lot more in Thessaloniki, whereas Athens is a little more touristic. While Athens has the edge on Thessaloniki for islands, Thessaloniki has Athens beat for beaches. Few people know that some of the most beautiful beaches in Greece are actually not on the islands but rather in the Halkidiki peninsula, a short bus ride or drive from Thessaloniki. While definitely not an off the beaten path destination for Greeks, Halkidiki is rather under-discovered by travelers to Greece, so if you want a more authentic Greek experience while still enjoying beautiful beaches and a robust tourist infrastructure, head to Halkidiki. 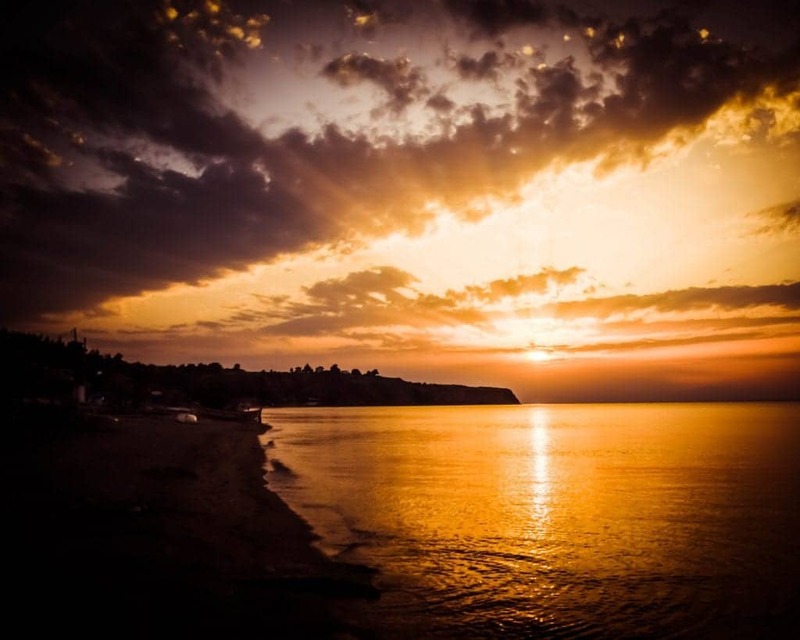 Kassandra is the most developed of the three ‘fingers’ of the Halkidiki peninsula, so if you want the most options for hotels and activities, that’s where you should go. If you prefer a more quiet area, then Sithonia is a better bet. There is also Athos, the third finger, which is relatively undeveloped and most of which is home to one of the most important monasteries in Greece, Mount Athos. While Athens certainly has delicious food, I’m sorry, I have to give the win to Thessaloniki here. 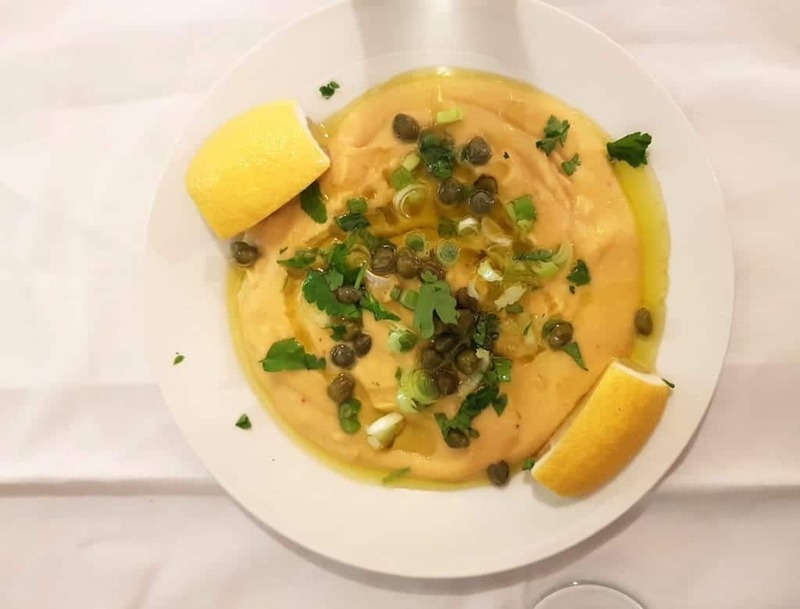 The food scene in Thessaloniki is incredible, with so many amazing tavernas, ouzeris, and restaurants serving up absolutely fantastic Greek food for amazing prices: think a soul-filling meal for two including plenty of wine for about 25 euros including tip. 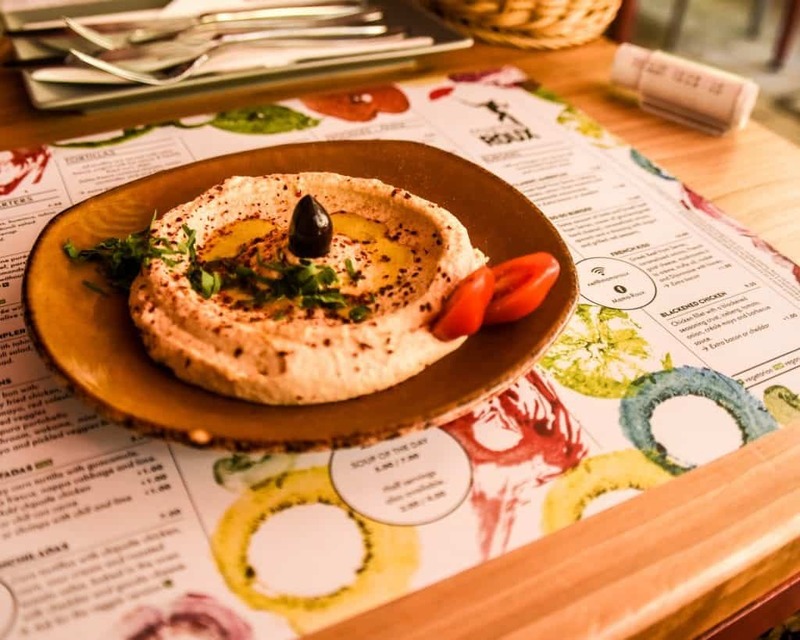 While there is certainly great food to be found in Athens, you will have to wade through more middle-of-the-road options catering to tourists, whereas Thessaloniki is more geared towards discerning, picky Greeks who know their cuisine and will only accept the best. 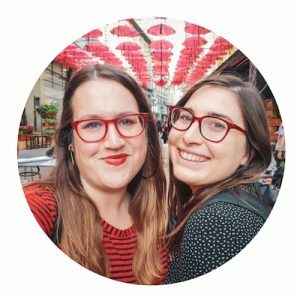 A few of my favorite places I ate at in Thessaloniki are To Prytanio, Hoveza, Kanoula, Panselinos, and Rouga – full restaurant guide to Thessaloniki to come! Sure, I gave Thessaloniki the edge when it came to food, but only slightly. Food basically everywhere in Greece is incredible. I had fried halloumi with a chili-tomato chutney in Chania, Crete that nearly brings tears to my eyes to think about, and I will never get over the fried calamari I had at a random beach restaurant in Agia Triada. Your average taverna in Greece will have delicious mezes, seafood, and meats for affordable prices, and carafes of wine for as little as 4 euros. Of course, there are more upscale options, but I love the perfect simplicity of Greek food. Even the humblest of street foods, a souvlaki pita wrap, is simply perfect here! I love Greek people: their warmth, their humor, their hospitality. If you show Greek people kindness, they will match it – and then some. 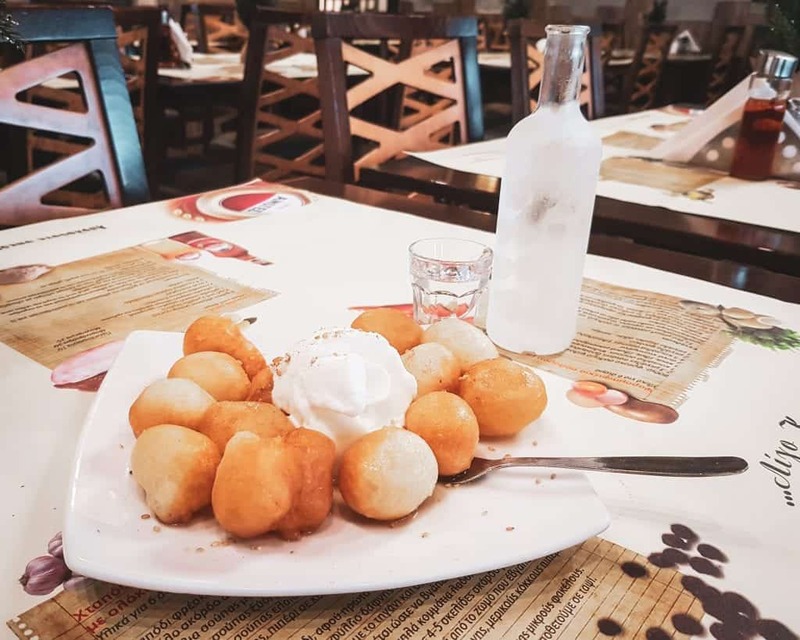 It was rare that I left a restaurant in Greece without receiving some free dessert, drinks, or coffee, and service was always kind and prompt (not necessarily a given in the Balkans). As an American, my country’s history feels relatively “new” due to the lack of ancient architecture you find throughout a place like Greece. Walking around modern-day Athens or Thessaloniki and just strolling past an ancient forum or amphitheater is kind of insane. Thinking about the incredible contributions that the Greeks have given the world is really remarkable and it’s wonderful to see the legacy live on in present-day Greece, and no matter which city you choose, Thessaloniki or Athens, you will surely be impressed by it. Finally, make sure you always travel to Greece or anywhere in Europe with valid travel insurance. Greece is a very safe place to travel, but accidents and theft can easily ruin your trip if you don’t have the travel insurance coverage to recover the losses. Recently my aunt fell on a train in France and needed surgery, but luckily her travel insurance covered the costs in full. Thank goodness!